Dr. V D Patil joined as a Lecturer in the Department of Paediatrics at J N Medical College, Belgaum in March 1976. Since then he has been involved with the college in various capacities for the last 36 years and has been in the Principal of J N Medical College Belgaum since August 2002 to August 2012. From 1st September 2012 he has taken over the charge as Registrar KLE Academy Of Higher Education and Research. 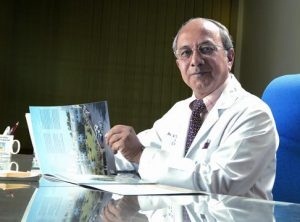 He is Chief Pediatrician at Dr. KLES Prabkakar Kore Hospital & MRC Belgaum since its inception in 1987. Dr. V D Patil has been awarded the WHO Fellowship in MCH Programme.